Friends Don’t Let Friends Buy Succulents! 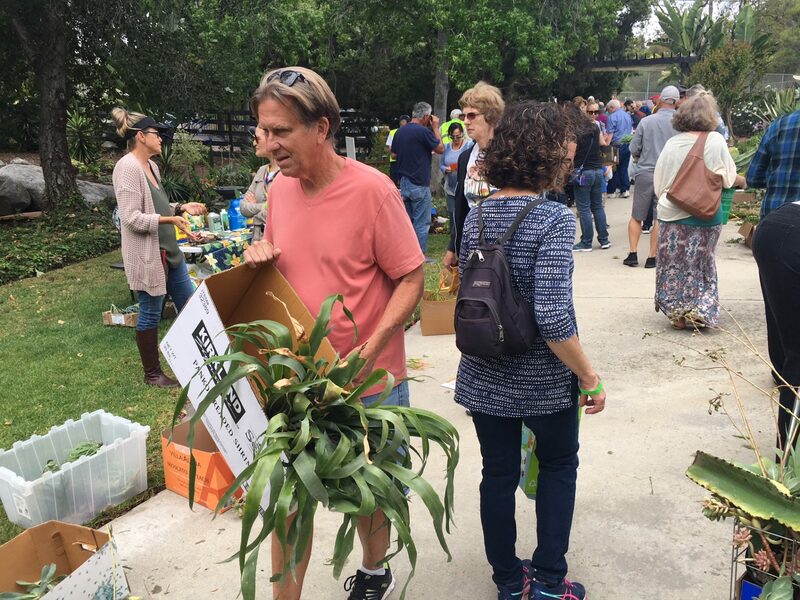 Get a jump start on a water-wise garden at GMIA’s 6th Annual Succulent Swap. Bring cuttings or plants to share, but don’t be shy if you are just getting started and don’t have any extra plants – our generous participants always bring lots and there is plenty for all. GMIA will provide complimentary coffee and light snacks to round out the morning. Enjoy the magnificent two-acre garden of GMIA members Tere Trout and Jonathan Becker. A huge thank you to Tere and Jonathan for graciously hosting this event in their inspiring low water Wonderland. Look for their huge African tortoise who can be seen wandering around the property nibbling on juicy succulents. The Succulent Swap is open and free to the community. Please note: membership has its privileges with VIP entry for GMIA members whose dues are paid current.